As you may already have seen, Wayne Rooney scored a superb hat-trick for DC United this weekend, but that wasn’t all he did as he continues to shine in the MLS. 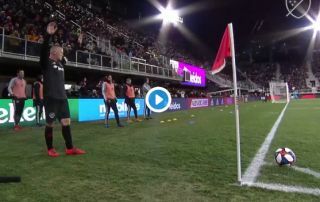 The former Manchester United forward also clipped in a perfectly-weighted corner for his team-mate Lucas Rodriguez to score a beautiful volley. This is truly a goal Rooney at his peak would have been proud of, but he had to settle for the assist on this occasion. Still, this is all-round superb work from the former England captain as he enjoys a mini-revival in the US.